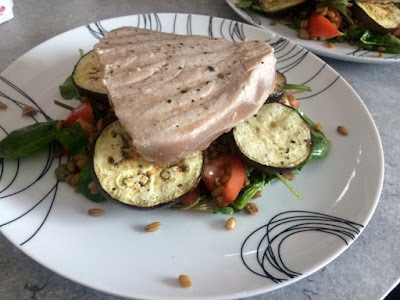 As tuna of the tinned variety has become so common in our diets we often dismiss it as a bit of a store cupboard staple and forget what a nice piece of fish it really can be. Don’t get me wrong, I always have a supply of tinned tuna in the cupboard but it’s become a bit confined to the packed lunch/easy dinner category. 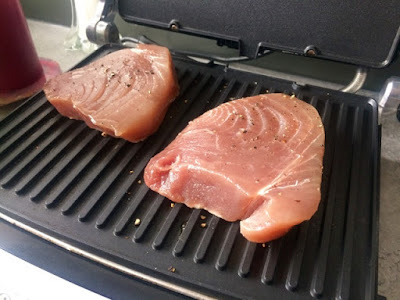 I really enjoy a proper tuna steak as it feels like a bit of a treat and it’s actually a really nice meaty piece of fish so I got a couple for a quick and easy healthy dinner. Salads are not often something I serve as a main meal because, like most people, I think that a salad never really feels that substantial or filling. This, however, is no ordinary salad, this salad has been seriously pimped up. 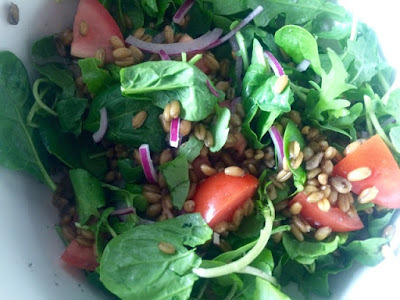 With lots of my favourite Mediterranean flavours and ingredients thrown in there are absolutely bags of flavour and the addition of a bag of freekeh (you can use any grain) really bulks it out and makes it substantial enough for an evening meal. There are so many new grains on the market at the moment it is hard to keep up and know what they all are. I say new, they’ve all been around for a very very long time, but they’ve only recently become widely available to us here in the UK. Quinoa was the favourite of the superfood obsessed for a while and I’ve very much gotten on board with incorporating that into my cooking but I like to mix things up and try all different sorts. Freekeh, which I mainly decided to try because of the name, may be my new favourite for a while since it’s been very popular with The Boyfriend too. 1. 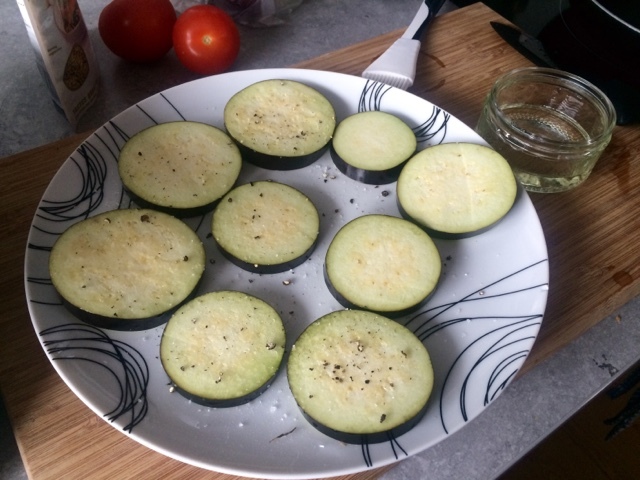 Season the aubergine slices and brush with a little olive oil. 2. 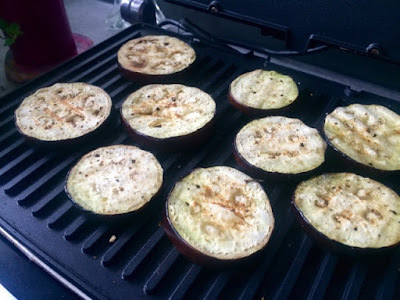 Place on a hot grill or griddle pan, turning regularly until browned and cooked through. 3. 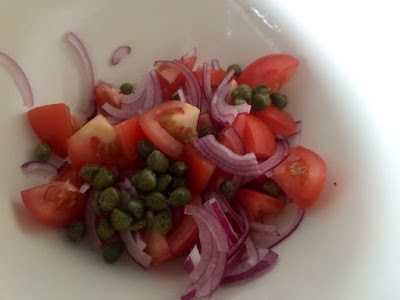 Meanwhile, in a bowl mix the tomatoes, capers and red onion. 4. Mix the olive oil and vinegar in a small dish and season well with salt and pepper. Add the freekeh to the tomato mixture. 5. Throw in the salad leaves. 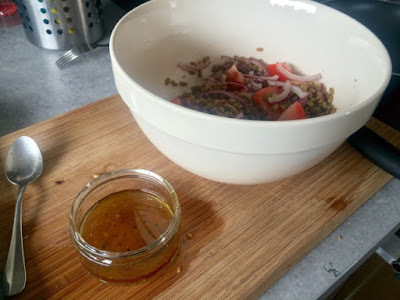 Drizzle over the dressing and toss everything together to ensure the dressing evenly coats everything. 6. 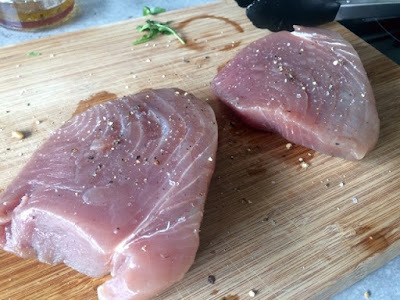 Drizzle a tiny amount of oil and sprinkle salt and pepper over both sides of the tuna steaks. 7. 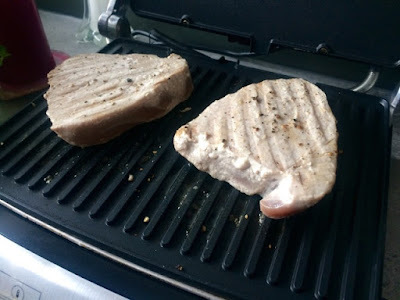 When the aubergines are done remove from the grill and place the tuna steaks on. Cook for two minutes on each side, but this will depend on the thickness of your steaks. You want them to be cooked on the outside but remain pink in the middle. 8. 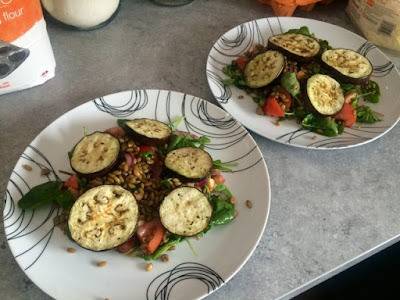 Split the salad between two plates and top with the aubergine rounds. 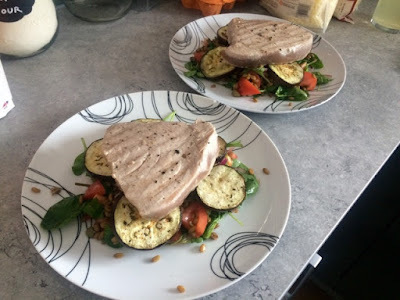 9. top each dish with a tuna steak and serve as a delicious and super healthy dinner.